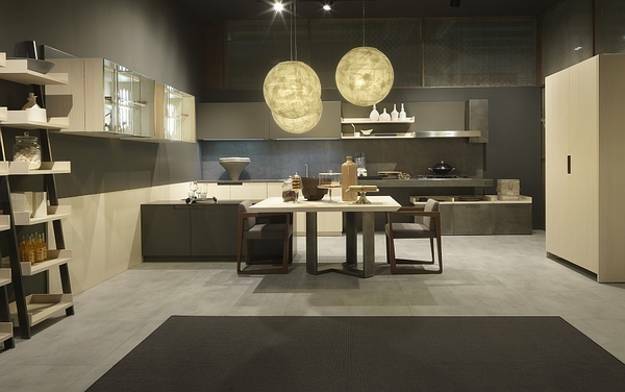 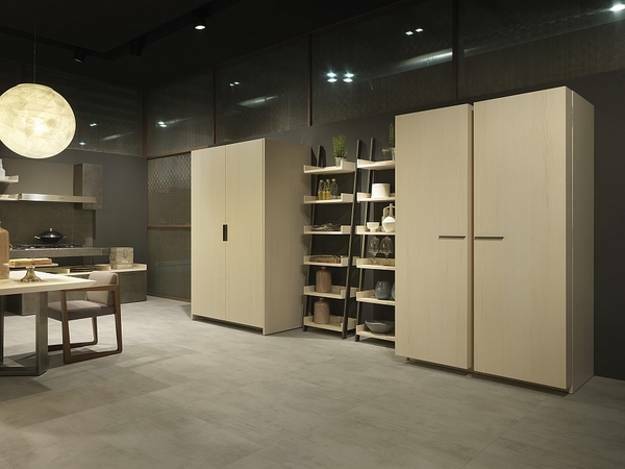 New Italian kitchen design ideas were presented during the International Furniture Fair in Milan and Kitchen Furniture Exhibition EuroCucina 2014 where designers demonstrated kitchen trends. 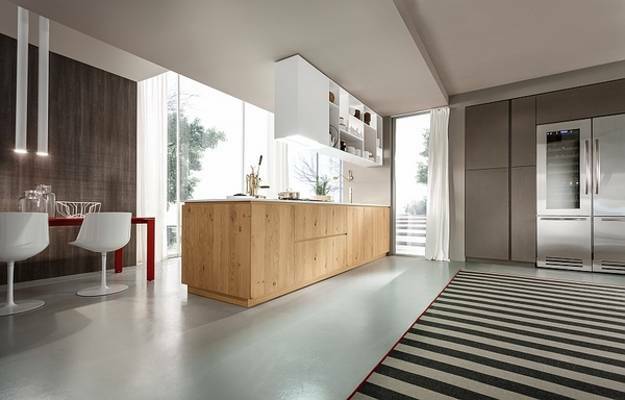 Lushome shares beautiful pictures that show two new Italian kitchen designs in contemporary style. 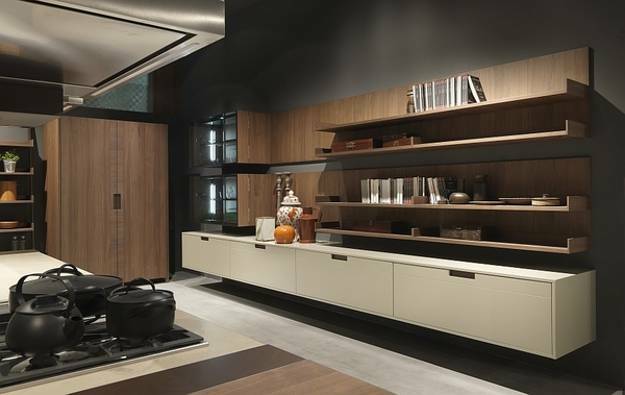 New Italian kitchen design blends floating shelves and attractive kitchen cabinets, enhancing kitchen interiors with art and crafts. 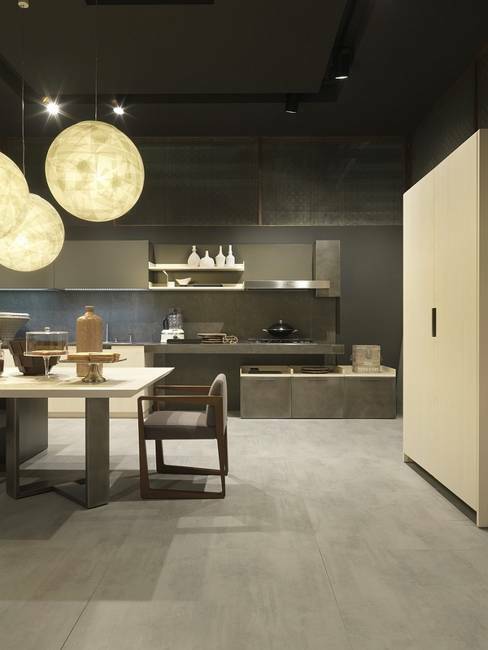 Two new Italian kitchen design ideas are called Rustic Charm and Urban Chic. 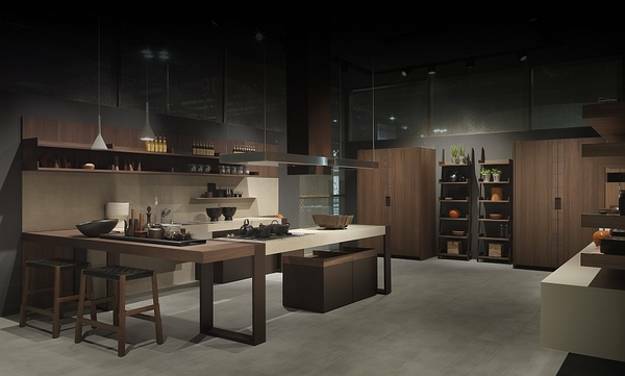 These beautiful kitchens create the collection Arts & Crafts which offers functional, very attractive, luxurious and modern kitchens. 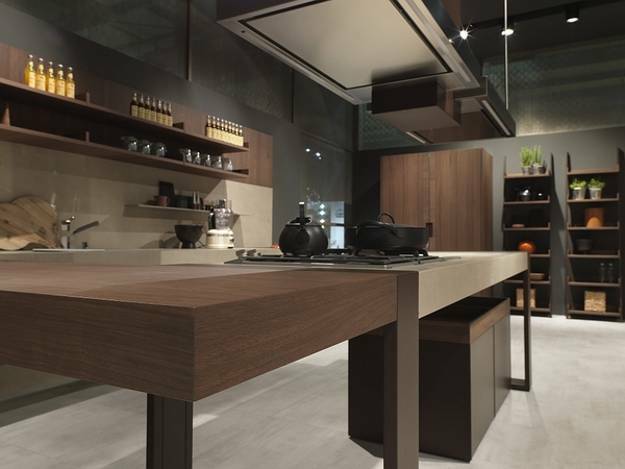 New Italian kitchen design shows a fine combination of materials and create an exciting fusion of style. 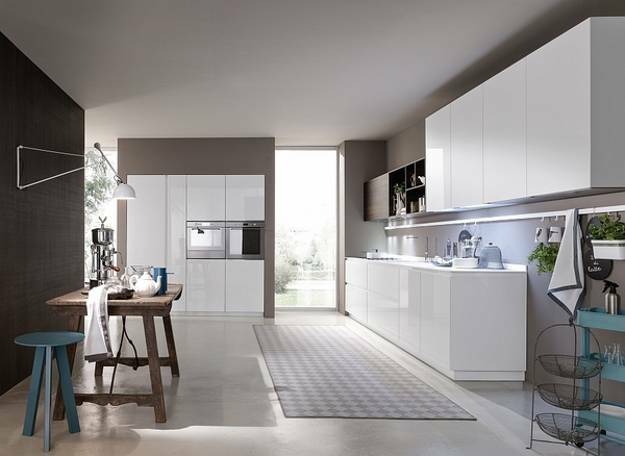 The contemporary design in minimalist style and elements of classic kitchen design look fabulous in modern kitchens. 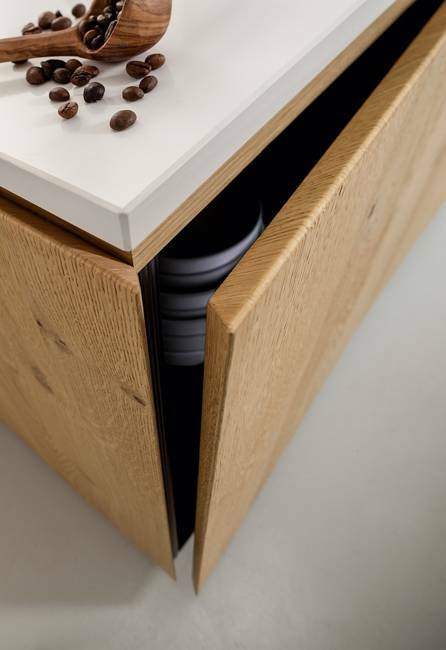 Walnut and oak finishes are beautiful and timelessly modern. 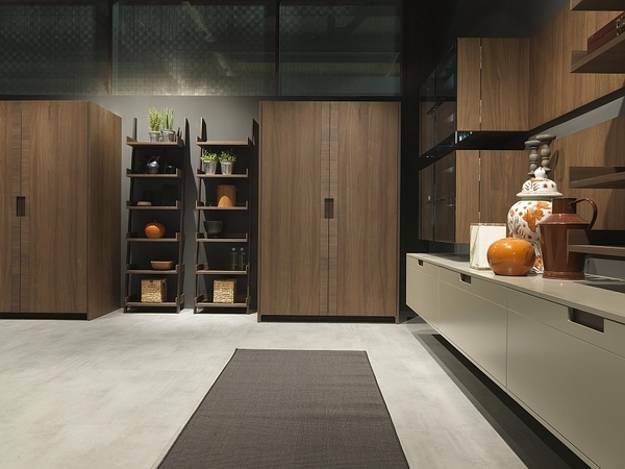 Wood kitchen cabinets add coziness, warmth and comfort to new Italian kitchen designs. 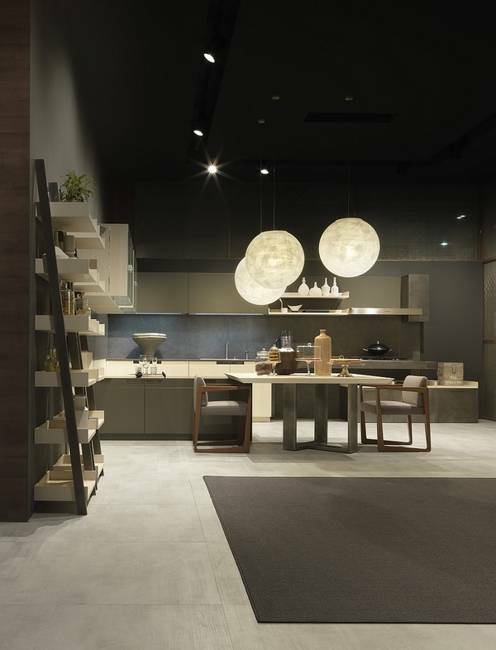 Modern kitchen trends from EuroCucina include light and neutral colors, elegance of simple lines, charm of exclusive and chic details. 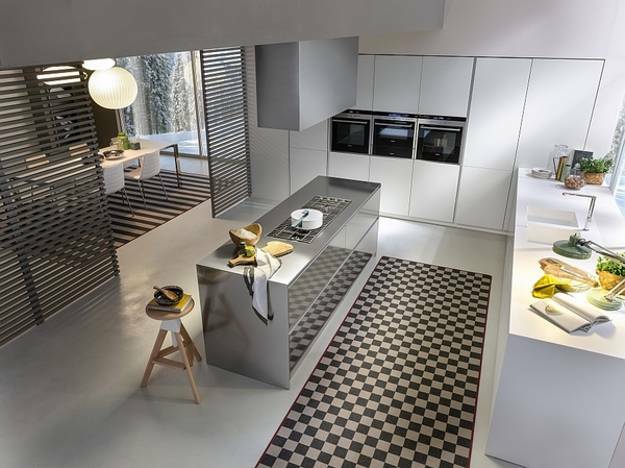 New Italian kitchen design uses different simple geometric shapes and large blocks which harmoniously blend with kitchen interiors and create beautiful, functional, impressive and modern kitchens. 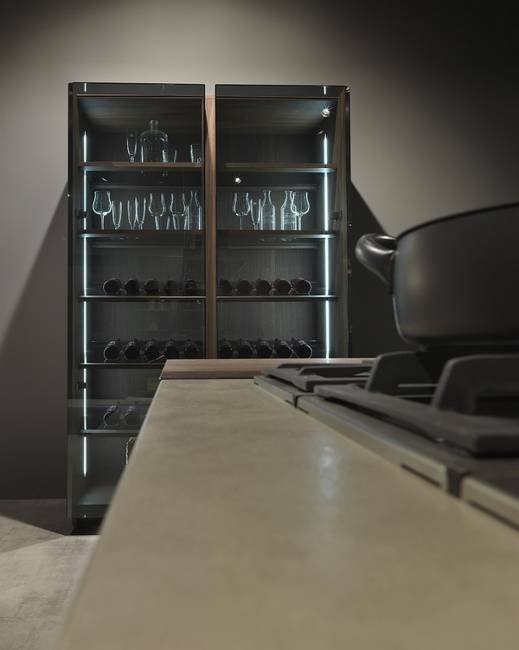 Stainless steel kitchen islands, gorgeous wooden shelves, contemporary kitchen lighting, upholstered dining chairs, rustic wood tables and natural wood kitchen cabinets are skillfully combined into beautiful, artistic and chic Italian kitchen design.